Bacco restaurant is proclaimed by critics as one of the most romantic restaurants in Boston. 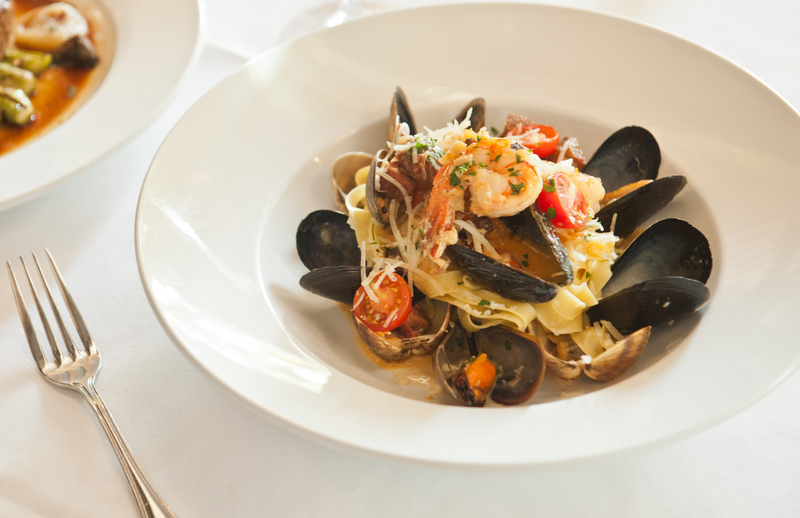 Just steps away from the Old North Church and Paul Revere’s house, Bacco offers a contemporary and elegant atmosphere — showcasing classic and regional Italian dishes, with a modern flair. The ground floor features a convivial bar, while both floors boast beautiful floor-to-ceiling mahogany windows overlooking The Freedom Trail. Meet friends for a martini, sip a glass of wine, or settle into the banquette and relax with a leisurely dinner. Bacco continues its tradition of providing pure classic flavors and intuitive service, while setting the standard for Italian cuisine aficionados for more than two decades. To make reservation by phone, please call us at 617.624.0454. To make reservation by online, please use the form below. Bacco is located on the corner of Salem and Parmenter Street in Boston's North End. Validated parking is offered for $3 for 3 hours at the Parcel 7 Garage on the corner of Congress street and Sudbury Street. There is also a limited amount of street parking and several parking lots and garages with varied fees available in the area. The nearest parking lot is on Cooper Street. The most accessible stops from the MBTA are on the Green Line/ Orange Line at the Haymarket stop.